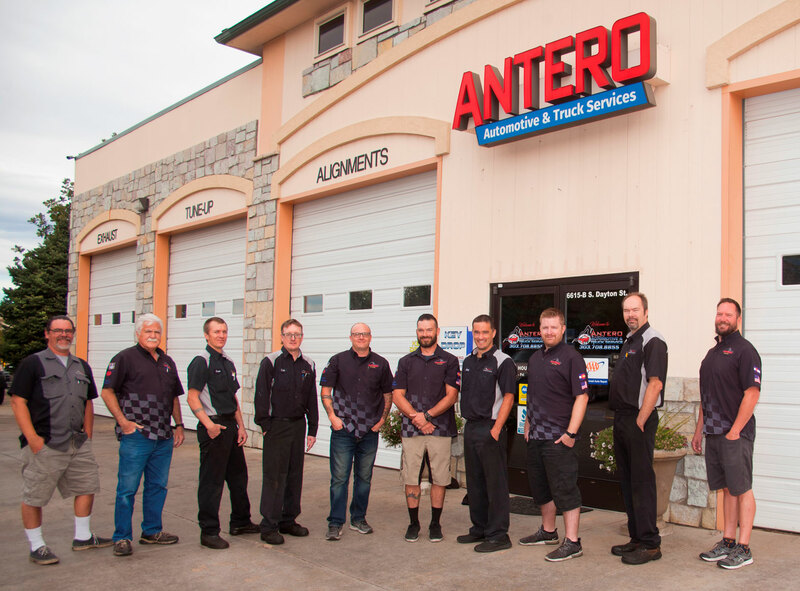 Located in the Denver Tech Center, the auto mechanics and rest of the team at Antero Automotive & Truck Services is chosen time and again by families throughout the community. Why? We think the answer begins with our team. Our team is very close-knit, playing on each other’s strengths to deliver you exceptional auto repair, along with transparent and personable customer service. When you put it all together, we bet you will find yourself breathing a sigh of relief, knowing you and your vehicle will receive capable and honest service. 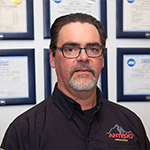 Keep reading to get to know our team at Antero Automotive & Truck Services. 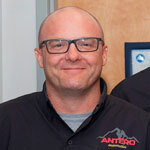 Andy Emery is the Owner and Founder of Antero Automotive. 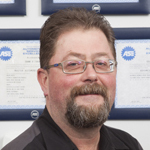 He has over 18 years of experience in the automotive field including 11+ years of shop management/ownership. 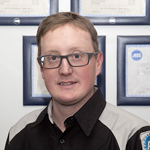 His focus as a technician and an owner is to bring honesty and integrity back to the automotive service industry. 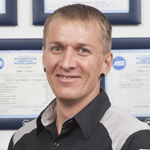 Andy is an ASE Certified Master Technician, ASE Certified Parts Specialist, and ASE Certified Service Consultant. When Andy is not at the shop taking care of business, he is spending time with his wife and 4 children. David Nelson is the Manager here at Antero. He shares the same passion as Andy for taking care of our customers. He has over 15 years of experience in the automotive field as well as some time in the motorcycle and power sports industry. Dave has new found love for the game of golf. When he’s not chasing the little white ball around, he’s spending time with his wife and 2 dogs. Tommy Lee is our service advisor and resident bench racer. Tommy has a heart the size of Colorado and would do anything to make sure our customers are taken care of. Find him on the weekends at Colorado National Speedway working on one (or more) of the Antero sponsored cars. 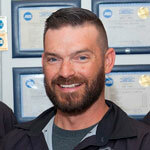 Shane Coberly ASE Master Certified- L1, L2 Diagnostics. and working on L3 ( Advanced Hybrid Diagnostics ) Shane’s unparalleled enthusiasm, and passion for automotive repair, is an inspiration to his fellow technicians! Shane’s wife and children are the love of his life! They enjoy 4 wheeling and Snowboarding together, here in beautiful Colorado. In Shane’s spare time, he trains and competes in Adventure Races, and Ultra-marathons. Nick Halstead ASE Master Certified and Toyota trained. Nick came on board with us in 2016 and has been an amazing addition to the team. His knowledge of Toyota and Lexus really set him apart from the pack. He has 2 kids and also has strange love for the game of golf. David Williamson is our newest edition to our advisor team. David spent 7 years with the Arapahoe County Sherriff’s department. Still wanting to help people in need and serve his community, we joined our team. David has been through several training classes and is continuously working on improving his skills as a service advisor. Mark Pedersen is our shop assistant and shuttle driver. Mark has been an integral part of the company since 2016. Mark has a heart for taking care of others and ensuring they make it safely to work or back home after dropping off their vehicle for service. Mark is also a feature photographer for American Furniture Warehouse with many pieces on display at every location. Besides photography, Mark loves spending time with his wife and daughter. 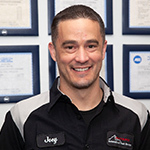 Joey Kenville is a Master Certified/Advanced Level Technician who has the expertise and the knowledge and training to repair and maintain your European vehicle. He's Naitive Coloradoan and he's married with two wonderful daughters and loves drag racing! He is a 3-time PSCA XDR national champion! We're happy to have him on our crew! 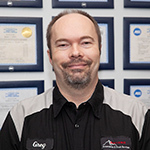 Greg Lindsey is a Master Certified/Advanced Level Technician who is factory GM trained. If has four wheels and license plates, chances are, Greg knows how repair or maintain it. Greg is married and has an amazing 3 year old boy at home. On his off days, find Greg outside with his family enjoying everything that Colorado has to offer. 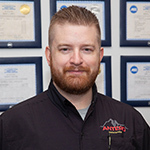 James Reynolds is our apprentice here at Antero. He is learning from some of the best technicians in the business and is enjoying every minute of it. James also helps out around the shop repairing and maintaining equipment when needed. Whenever anyone needs help, James is the first one to offer assistance. We’re looking forward to having James on our crew for years to come!